Happy to see a home for my short dark fiction piece, Derelict. It is set in the same fictional geography as a story I published in Tico4 years ago, and it was inspired by some thoughts about people who are down and out – what stories do they have? Anyway, glad to see this out and about. The story can be read for free online. Pleased to have my psychological horror piece, Old Bones, Young Bones published in The Refuge Collection (6.2). It is the second story of mine that got into that great collaberative effort, edited by Steve Dillon. This story is probably the most disturbing I have written yet, in part because it is inspired, and was partly re-told, from a real conversation I had when I was much younger – and reality is the most disturbing of all things in this world. It is currently available as a stand alone ebook, but it will later be incorporated in an anthology. This is the link to the stand alone – support this great cause! Very pleased to have my dark short story, 'Old Bones, Young Bones' accepted by The Refuge Collection (ed. S Dillon). Aside from proceeds going to a great cause, I am extremely appreciative of a publisher accepting a story covering very disturbing topics. This was meant to be, methinks. Thanks to Lee Murray for great copy editing. Very pleased to have my short story, 'Denying the Thrill', set in Melbourne, Australia, published in the pro anthology, Creepy Campfire Stories (for Grownups) by EMP Publishing. Also pleased to have my story take first place in the TOC. This is a story I enjoyed writing, exploring an unusual state where a man could predict when people died by smelling, viewing, touching their blood. This is a very good anthology, with a heap of excellent writers – I would recommend purchasing it. It was just released today through Amazon (PRINT and KINDLE). 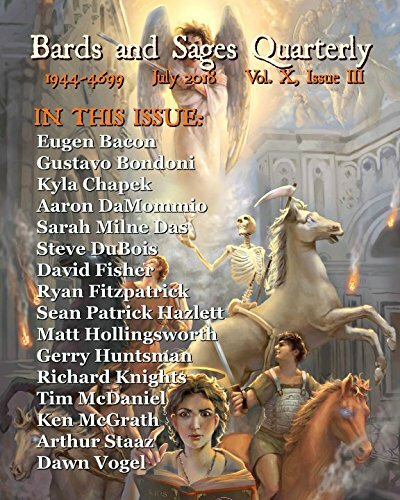 Very pleased to see my name formally announced by Robert N Stephenson, editor of The World of Science Fiction, Fantasy and Horror anthology (Altair Australia), that my story, An Incident at Prnjavor,is in the TOC. A rather gruesome, WWI Eastern Front ghost story. I enjoyed writing it, because it has an interesting backdrop, with interesting characters, a bit of a twist at the conclusion. Looking forward to seeing it in print in January 2016. Very happy to have sold my horror short story set during WWI in the Eastern Front, 'An Incident at Prnjavor' to The Worlds of Science Fiction, Fantasy and Horror anthology, edited by Robert N Stephenson and published by Altair Australia. This is scheduled to be released in January 2016. More news as we get closer to publication. Extremely pleased to be included in the pro anthology, 'Night Terrors III' by Blood Bound Books, with my story, 'Of The Color Turmeric, Climbing On Fingertips' published alongside short fiction by luminaries such as Jack Ketchum, Steve Rasnic Tem, Eric J Guignard, and many others. This is particularly satisfying as it is a story with Australian protagonists set in an extremely unusual Australian setting. I will say no more. This anthology is a must buy. Purchases can, at this stage, be made in Amazon.